A portrait of a remote village in Northern Greenland with a population of 59. What would you do if you were 16, lived in the most remote village in the world, and were the only teenager? What would you do if your biological father lived next door, yet never acknowledged your existence? Well, Lars is surprisingly upbeat about it. Welcome to the world of high-speed internet and door to door sewage collection, of polar bear hunts, and the summer dips in the melting ocean. 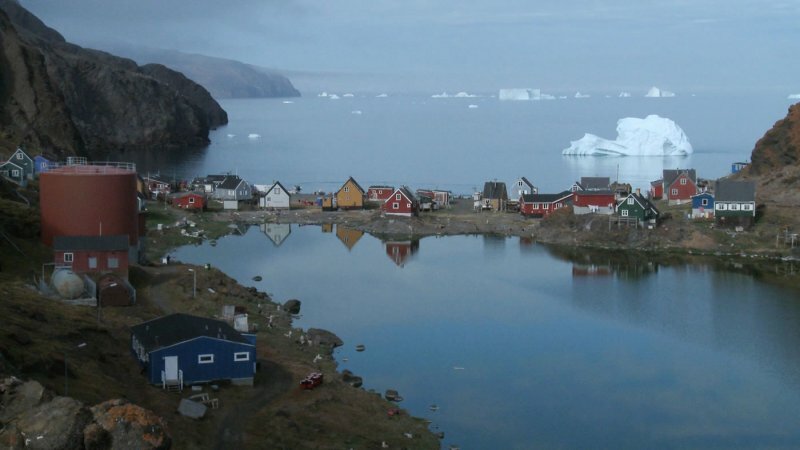 Sarah Gavron (Brick Lane) spent a year in Greenland, and delivered this extraordinary documentary. Sarah's feature debut is Brick Lane which earned her a BAFTA nomination for The Carl Foreman Award and the New Talent Award at the London Film Festival. Prior to this Sarah's first full length drama, the Dennis Potter Award winning, This Little Life for BBC TV, won her the (TV) BAFTA for Best New Director, the Royal TV Society and Women in Film and TV Award for Best Newcomer. Sarah was selected as one of Variety's ten directors to watch at the Sundance International Film Festival. While training at the NFTS and after Sarah has made many short films which have screened internationally and won major awards. Sarah was nominated for the Douglas Hickox award for Best Debut Director in the British Independent Film Awards. Sarah is currently developing a feature film about the Suffragettes with Film Four and Focus. She is represented by Casarotto.